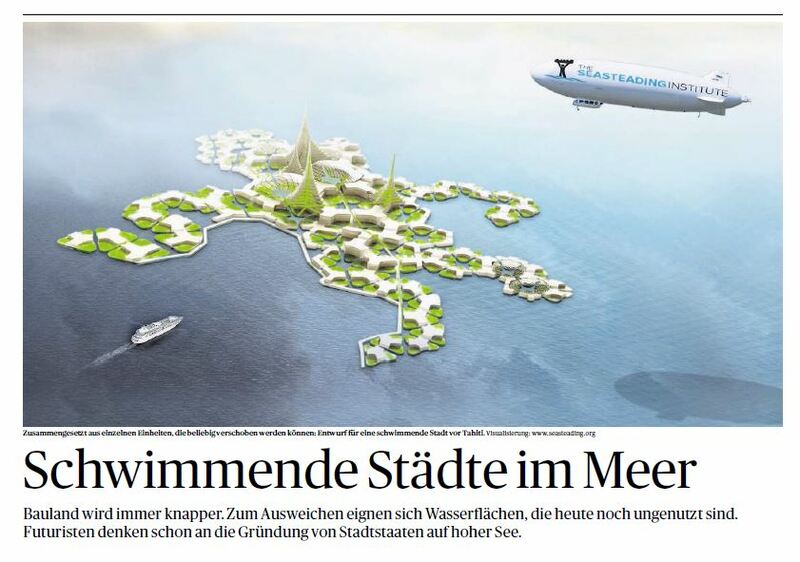 Floating cities in the sea are getting closer to reality at the Seasteading Institute. Futurists are already thinking about the founding of cities on the high seas. While the original argument was all about when population growth would make land so scarce we would have to move to the oceans, they never counted on cycles. The population figures are on the decline and the standard of living has declined and taxes have soared. There are many of America’s young adults who now appear to be in no hurry to move out of their old bedrooms. For the first time on record, living with parents is now the most common arrangement for people ages 18 to 34. The stunning proportion of older millennials — those ages 25 to 34 — are still living at home and has reached its highest point on record at 19% based upon the latest census data. This is also a death sentence for the socialist system which was based upon a Ponzi Scheme of taking money from an ever increasing population to pay for the retire costs of the previous which was always smaller. With just under 20% of millennials living at home, the population growth have plummeted. Japan has a real problem. Its population is just over 127 million and the new births are just 1 million annually. The Japanese have been forced to turn to developing robots to replace workers. Taxes have been increasing disproportionately. It’s official. Canadians now spend more on taxes than they do on food, housing, and clothing. Simple correlations show that the higher the taxes, the lower the birth rate. The seriousness of what socialism has altered is not even being considered yet. With hindsight, we will probably look back on this period of Marxism as China was forced to look back upon the one-child law that resulted in only boys being born. Historically, you had large families because that was your social security, the kids took care of their parents. This trend has been negated by Marxism. With the dawn of “socialism” in the 1930’s, the birth rate has declined in the West because government was there to take care of you so you didn’t need the family structure. Children were not responsible, that was the state’s job. The idea of Malthus that population would continually grow exponentially like rabbits in a Fibonacci sequence, has just proven to be nonsense. Fibonacci by no means negates cycles. So what about future cities on the high seas? Another idea that has materialized was taking a cruise ship and turning it into condos. The idea was if you lived on a ship would be tax free. Government quickly jumped on that one because the ship still had to be registered to a country and based upon that flag, they wanted taxes. Living on the water may be more attractive. They even have the First Tahitian Seasteading Gathering in May. If you can build your own island then you do not need a flag and you can escape taxes. However, you would become a prisoner without a national flag that gives you a passport to travel. Of course, there is always the possibility that you might not want to travel and hide out until the world becomes sane once again.